Reeses is a fun loving clown. His favorite thing to do is jump. He would be great for agility or a runner who needs a partner. Learning tricks comes easy for this smart special boy. He does the 'commando crawl', sit, down, shake hands, roll over among other things. He loves the clicker and playing with a box. 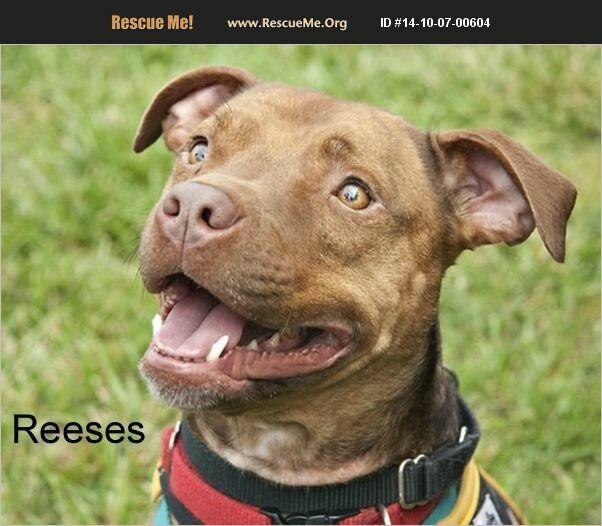 Reeses is crate trained and house trained. Despite being abandoned, he loves people but is too energetic for young children. Older children would be a better match. Playing with other dogs is something that he could do all day long. Cats are another story. He thinks of them as squeaky toys and therefore shouldn't be adopted to anyone with cats. If you want a fun-loving clown to keep you on your toes, please call Dallas or Esther at 757-583-8777 or email rainbowanimalrescue@cox.net.